FIAT (Fabbrica Italiana Automobili Torino) Group is Italian vehicle manufacturer, which is one of the biggest manufacturers in Europe. Throughout its history the company acquired such world-famous luxury car manufacturers as Alfa Romeo, Ferrari, Maserati and a couple of other Italian brands. 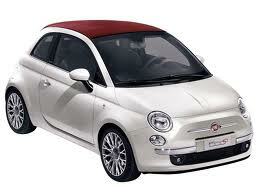 FIAT also has a control packet of shares of Chrysler, well-known American car manufacturer. All together FIAT S.p.A. owns 16 car brands. It also used to produce air transport, motorcycles and had business in few other sphere however it had to sell its secondary subsidiaries due to crises. FIAT units operate in 190 countries around the world. At the moment FIAT is ready to offer 14 different kinds of cars to its customers including Punto, the company’s best-selling model – 8,5 million units has been sold in European countries since 1993. Also there are 500 (plus C and L modifications), Panda, Panda Classic and Panda 4×4, Bravo 2013, Freemont, Sedici, Qubo, Doblo and Idea. The list of cars available at your country you may find at your local dealership or at the official website of the company. 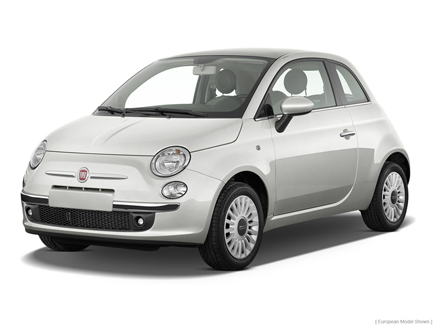 FIAT cars are a great combination of functionality, compactness along with spacious interior, great performance, attractive design and relatively low prices, which all together makes it a great value for money. Check out certain cars you like and their specification in order to have more detailed notion about these cars. Thanks God it is not the beginning of 20th century and now we’ve got car models of all kinds and colors. You can find big and small vehicles, fast and slow, luxury and economy cars. Now there are SUVs, convertible vehicles, crossovers, cars, coupe Fiat models of various technical specifications and trims. Now you can adjust exterior and interior in the way you want it to be. You can even choose the material, which the dash, seats and all the rest are going to be made of. Probably most of your ideas are already implemented in vehicles of some car manufacturing company so you can just look through the Fiat list of models by year and check out all pictures of Fiat models by all the corporation available in the catalogue. We have pictures with detailed description of all Fiat car models by all the major car manufacturers including such exclusive and not very popular vehicles as Spyker cars, Maybach and others. You can visit the most recent car show not even leaving your house by using our online source with all we’ve got at the website you are on at the moment. In addition to pictures and descriptions of all the vehicles you can find the information about actual prices and compare vehicles.